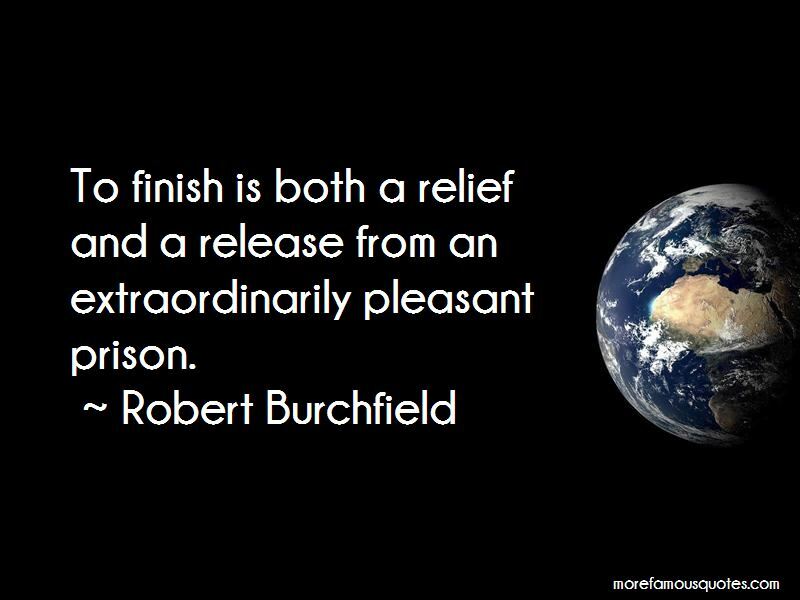 Enjoy the top 11 famous quotes, sayings and quotations by Robert Burchfield. 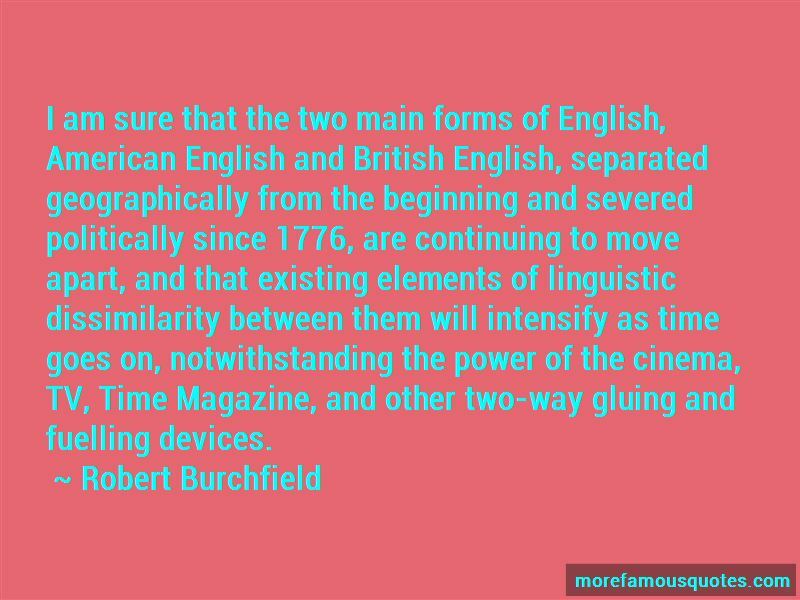 I am sure that the two main forms of English, American English and British English, separated geographically from the beginning and severed politically since 1776, are continuing to move apart, and that existing elements of linguistic dissimilarity between them will intensify as time goes on, notwithstanding the power of the cinema, TV, Time Magazine, and other two-way gluing and fuelling devices. 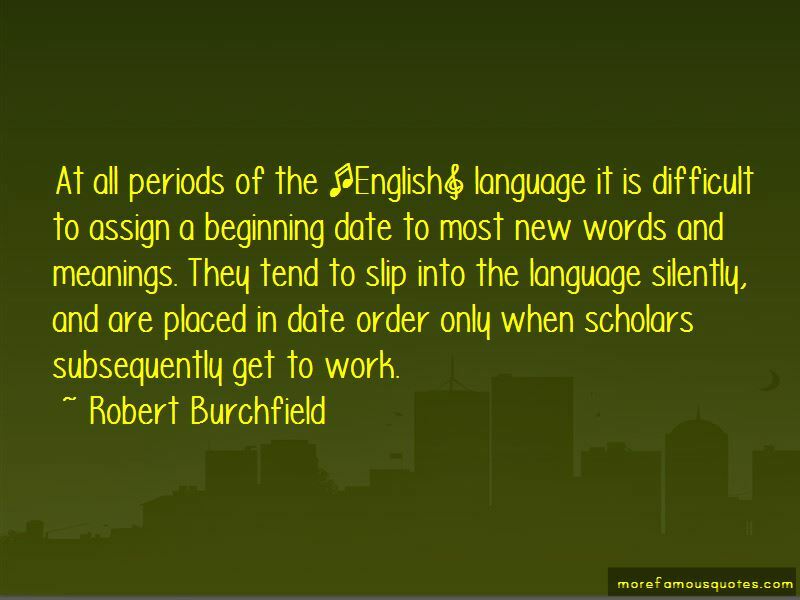 Want to see more pictures of Robert Burchfield quotes? 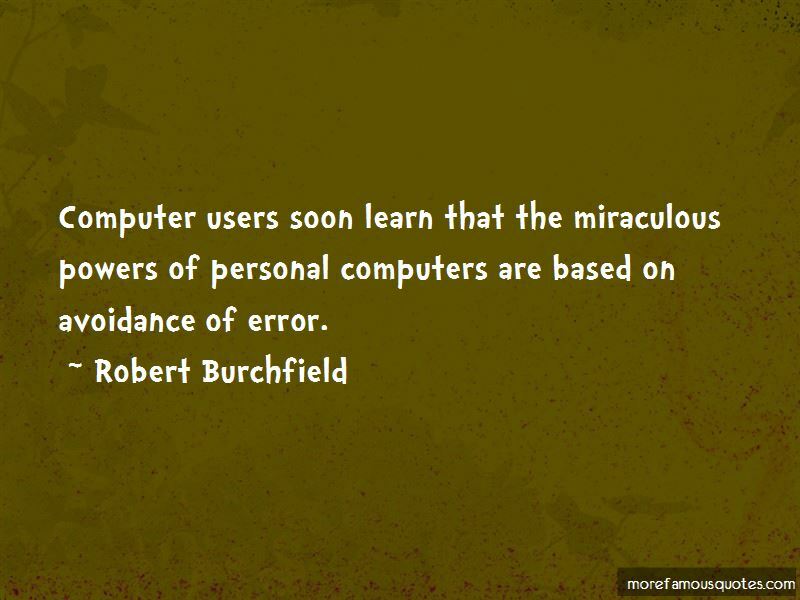 Click on image of Robert Burchfield quotes to view full size.